Come on down and put your brain to the test. Can you tell us which games these bad guys appear in? Try not to be the weakest link as you go for gold. Why not phone a friend for help as our survey says that these could be quite tough…. err buy a vowel if you need it and err…oh I give up just take the quiz. In which game do you to take down this ship? Can you defeat this thing? Look out, he has a shield. Where have you seen him? How could you forget that smile? Where have you seen this wascally wabbit? Have you been pursued by this vehicle? You'd remember this guy wouldn't you! Which is the front end of this thing? Is it very small or just far away? Why is it grinning like that? I don't like it. Have you trespassed on this farmer's land? Where does this individual make trouble? Dragon or some sort of mutant Shrimp. I don't like to blow my own trumpet but I defeated hundreds of these. This dude has a massive sword. Leg it! He drops TNT from his window and he likes it. At least it wasn't 0, so that is something I suppose. Not too bad but do you feel proud of yourself? Care to try again. Alright! Very nice. Go knock on your neighbour's door and tell them how awesome you are. Woop Woop! It's PARTY TIME! Have a party right now. Top Marks. We bow down to your superior knowledge. Some might call this a waste of time but not us. Arghh! I did terrible there. Only 8/16 for me this time. Damn! 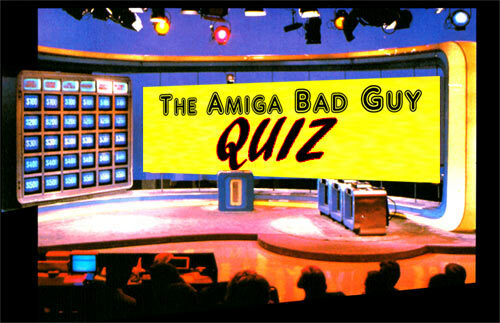 10/16…tough quiz! I started off great and tanked the end!